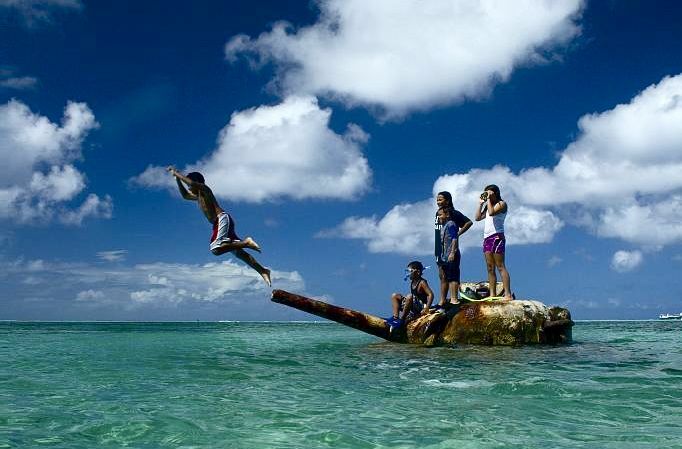 Once all of these ruins (haikyo) were bustling centers of life, industry, ambition, and dreams. Now only the bones remain, toxic assets and distant memories in the minds of aging Japanese, but witness for us all to the silent struggle played out every day as time creeps on, nature takes back what was once its own, and we all move closer to the drowsy blush of forgetfulness and the endless sleep of death. The Yamamoto Grand Center is a gracefully aging architectural joy, tucked away in a quiet corner of Tochigi prefecture on a die-cut volcanic crag. Once its spacious halls hosted large functions and company retreats, children played in its courtyard and newlyweds posed for photographs by its sheer rock wall. Now it is empty. 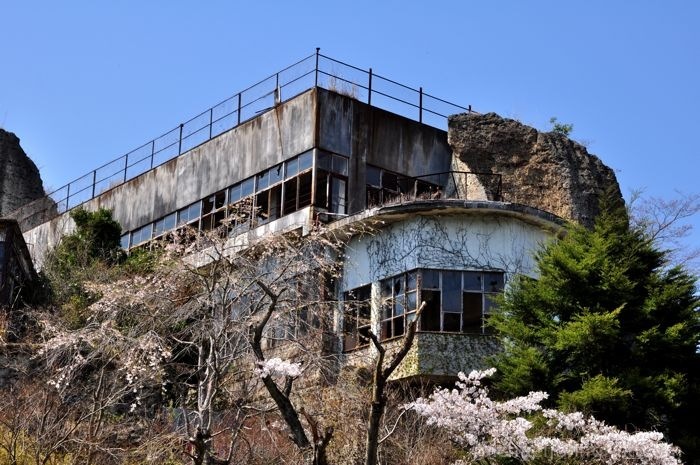 The BE labs haikyo in Shizuoka is mis-representing itself somewhat by posing as a lab; at best it was a spa-resort for people who worked at a lab, somewhere far off and long ago. 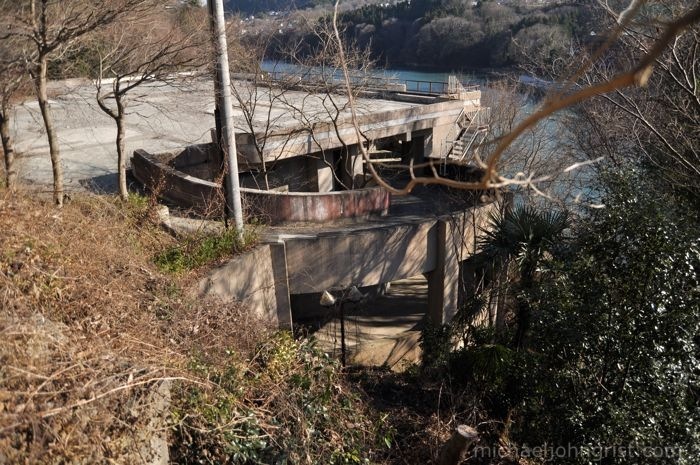 It sits in the crook of some distinctly un-Japanese rolling hills, looking rather like a bunker with its zig-zag concrete front-eave and fence-wires on the flat-slab roof. The Yamanakako Resort Hotel at the foot of Mt. 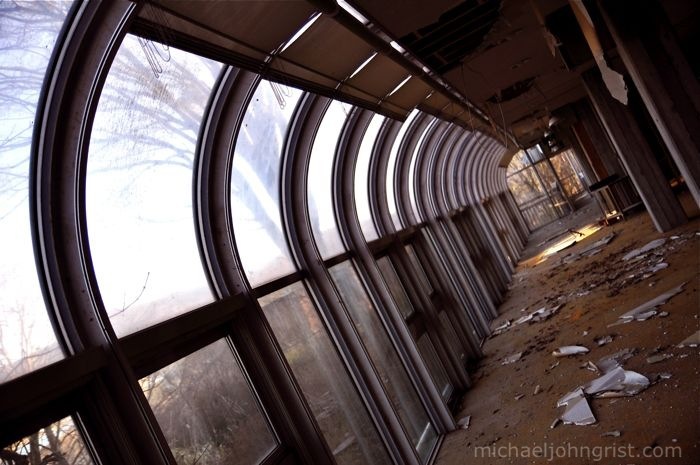 Fuji is another Bubble-era dead-end, a half-built extravagance that freezes in time the moment the crash occurred. Its rooms lie fallow and bare, uncarpeted and unpainted, with no furnishings but for dusty bath-tubs still in their vinyl casts. 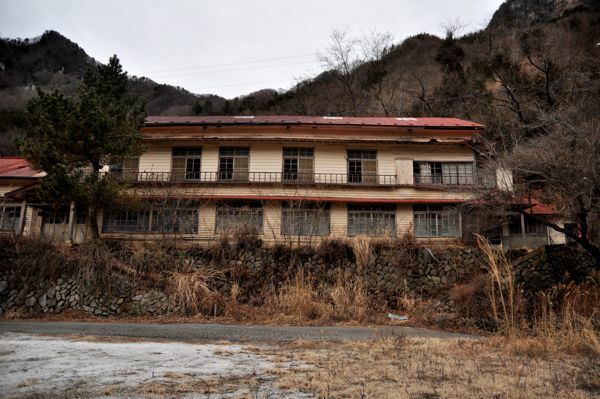 The Yamanakako Spa Resort Hotel in Yamanashi prefecture was an unremarkable complex, a simple red brick structure set off from the road on a slight hill. 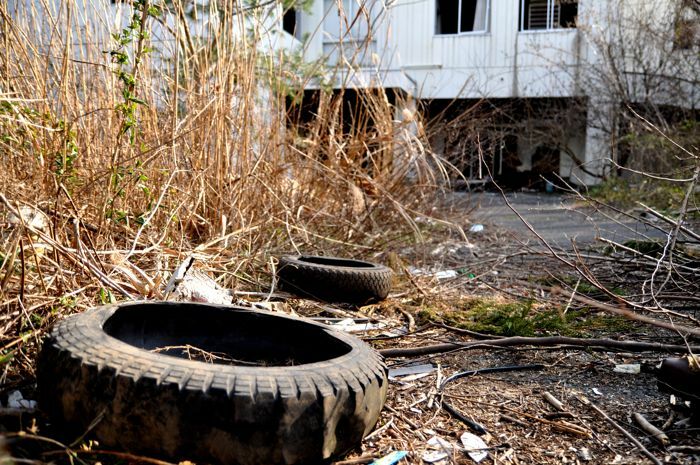 The first building in the complex was guarded by the dead and dessicated corpse of a bristly wild pig. 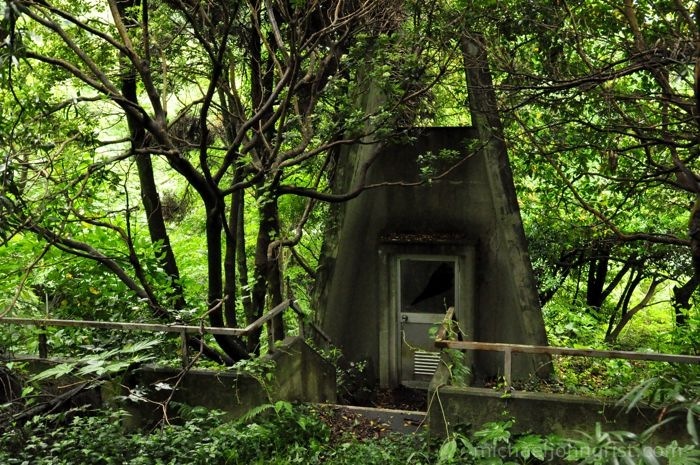 The underground vault haikyo in Yamanashi is one of the strangest abandoned structures I’ve yet explored. 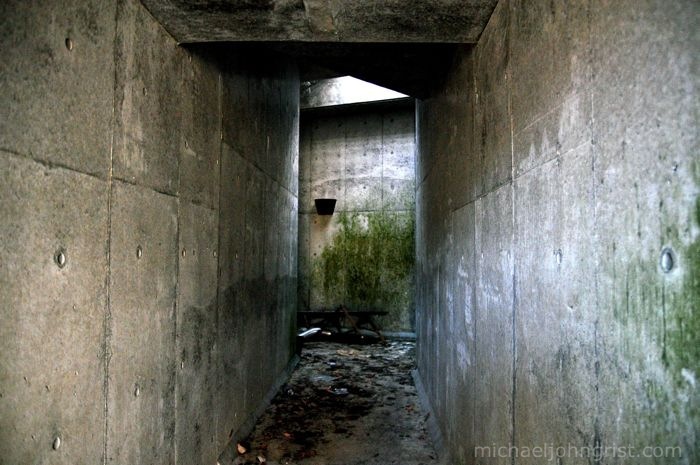 A double-doored double-walled walk-in safe with triple combination locks buried in a man-made mound in an unpopulated and obscure part of the Japanese countryside, now with its thick and weighty doors hanging open and loose. The old curiosity shop in Takadanobaba has been a mystery to me for a long time. I first spotted it passively years ago, before I lived near here, most likely on a trip to the Blue Parrot second-hand book store. 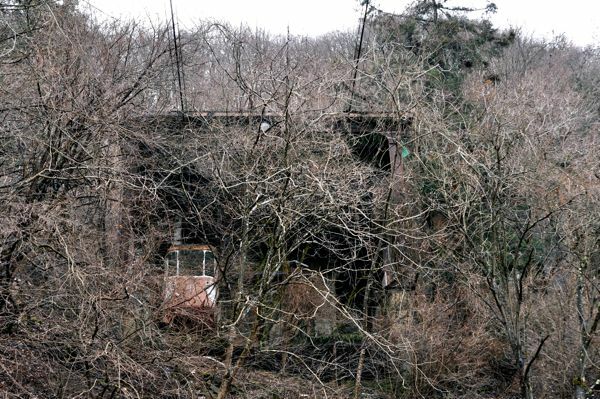 The remnants of the Sun Hills Hotel in Kanagawa lay hunkered down and spartan on the banks of Sagamiko lake, the blank concrete foundation of a proud edifice that never once opened to the public, hosting only the village’s truanting kids and vandals before it was unceremoniously torn down. 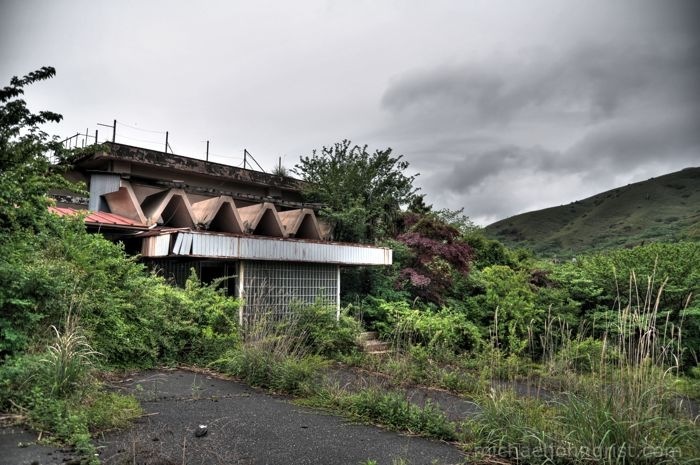 Now only its 2-story underground car park remains, haunted by chirping crickets and wandering families on sight-seeing breaks. The Shin Shu Kanko Hotel in Nagano is a leviathan beast, 3 whale-sized buildings interlinked by encircling roads, interior corridors, underground passages and a long bridging escalator. 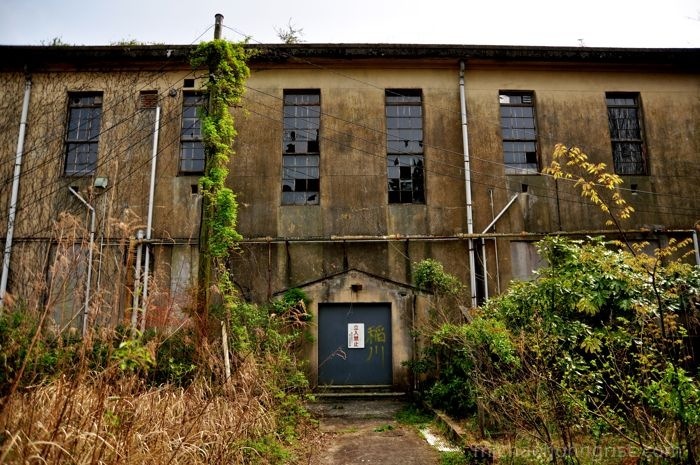 The largest of the 3 is seven stories high with easily 100 rooms along its spine, with huge onsen, function rooms, izakaya and a hall, all of it empty, trashed, and creaking in the wind. The Tai-Hei-Yo Cement Plant Haikyo in Chichibu, Saitama, was once one of Japan’s biggest producers of concrete, a massive complex woven through with miles of piping, studded with huge firing kilns, silos, 30-story smoke-stacks and immense clinker vats. 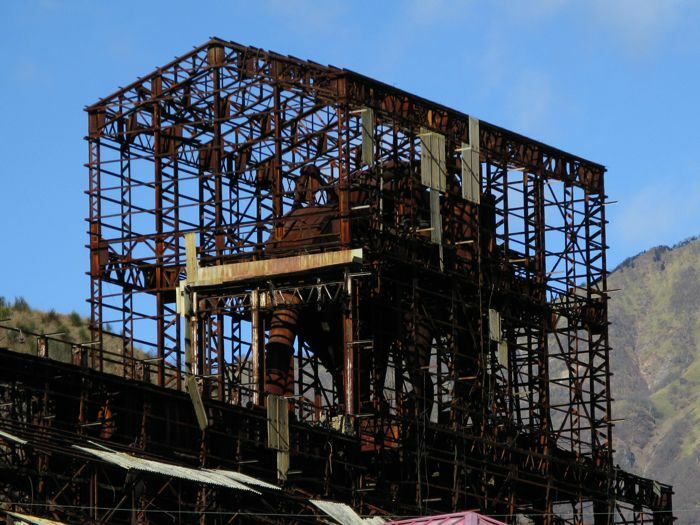 Now it’s a half-demolished scrapyard, strewn with piles of twisted metal wreckage, yellow chemical pools, bulldozers and cranes. 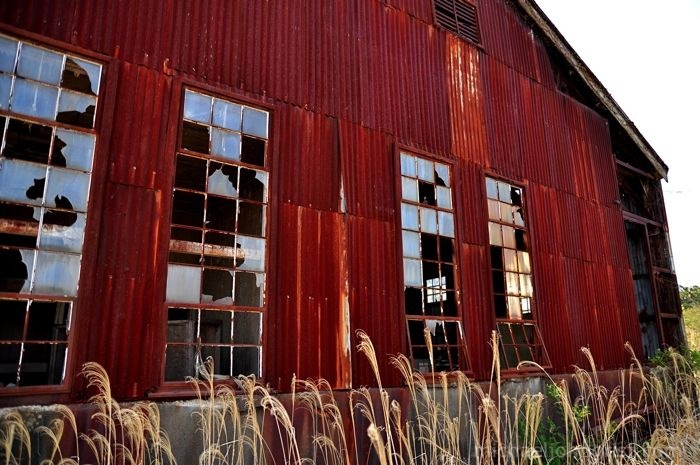 It’s rare to meet other people while exploring abandonments- by definition they should be empty, like dried-out rice husks blown in the wind. However from time to time it happens, and you may run up against an old man inexplicably stripping wood from fallen paper screens, or a gang of High School kids noisily playing truant. 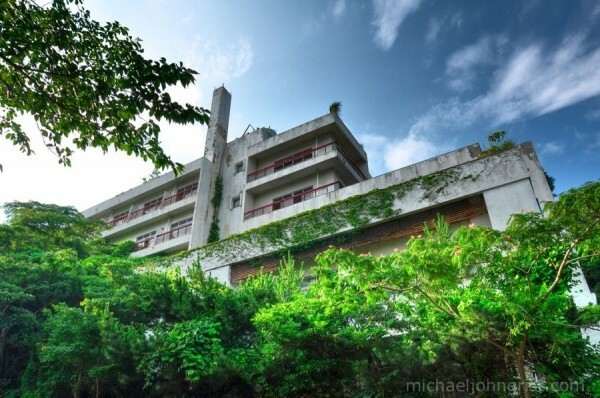 The Shimoda Grand looms like a listing battleship on a swell of green, doomed to eventually sink without trace, swallowed up by the knotty growth of years. 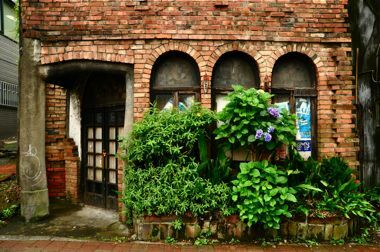 This was the third ruin on the first day of our road trip into Izu. Shimoda is famous for its gorgeous (imported) white sand beaches, and for being the lookout point where Colonel Perry was first seen chuffing towards Tokyo harbor in his black iron-clad steam ships. Scrunched up behind thickets of winter-boned brush off the banks of a man-made lake, the last remaining carriage of the Okutama Ropeway hangs slack in its berthing perch. Once a completely false folly, it is now consigned to be the most natural thing there, with clotted brown leaves as its only passengers, vines clinging to the station walls the only attendants. 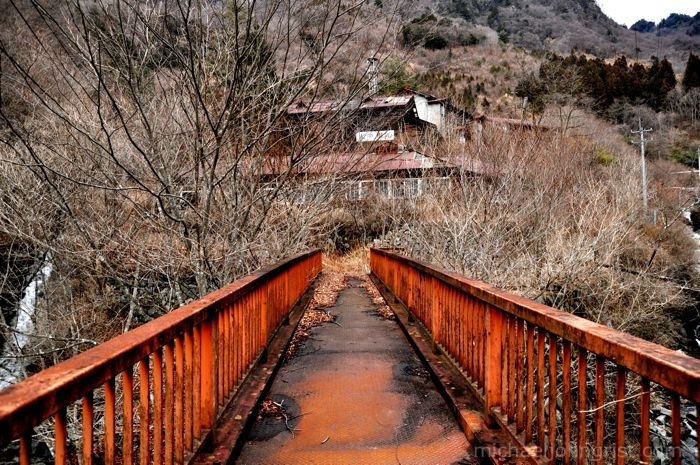 Ashiodozan Mining Town in the mountains of Tochigi Prefecture is infamous in Japanese history as a site of extreme environmental damage- so much so the town was mostly abandoned 40 years ago, the mines and factory shut down, and virtually all of the people left. Now itâ€™s just a creaking conglomeration of fading facilities. Life in Ashio would never have been easy, and certainly not at the peak of production around 1910 when 39,000 people called it home. Many would have turned to the ‘kamisama’ or Gods for spiritual succor- especially as there were no cinemas, malls, or any other way to relieve the stresses of everyday life. Mining for Copper began in Ashio over 380 years ago, on the chance discovery of a surface lode by 2 farmers tilling their rocky topsoil. Shafts were dug and miners sent in, the process was commandeered by the Shogunate of Tokugawa Ieyasu, and production went into overdrive. 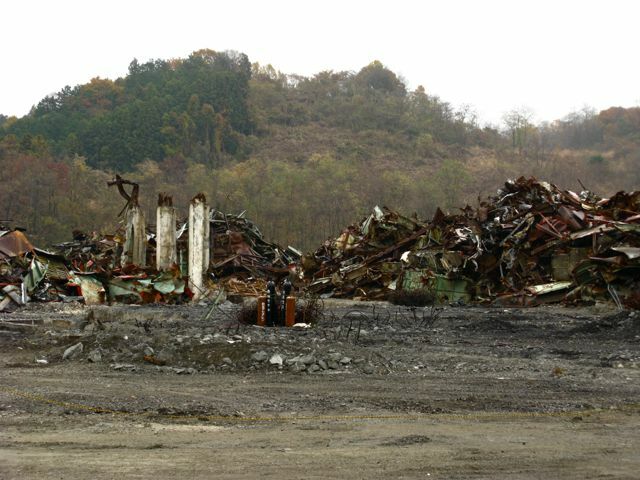 In Ashio Japan learned the true cost of industrialization, that of crippling environmental damage, as sulfuric acid from the factory numerous smelter chimneys coagulated in the atmosphere and fell as acid rain, poisoning the water table and blistering the mountains so all plant-life died. The Dental School Haikyo in Ibaraki is one giant nest, a big empty shell carpeted with straw and twittering with the sound of swooping birds. Every room, corridor, and hall is scattered with their off-cast building materials, feathers, droppings, and bodies. Broken EXIT signs, fire-hose cupboards, sinks and shattered fuse-boxes all serve as their homes, stuffed with rotten straw and twigs. The Rojin (old folks) Home we stumbled across in Shizuoka was a happy accident, one of those random call-outs from the back seat of the car that normally go unheeded. We were searching for an abandoned hospital and having little luck- so the mere sight of anything remotely fenced-off fired up our blood and got us out there investigating. 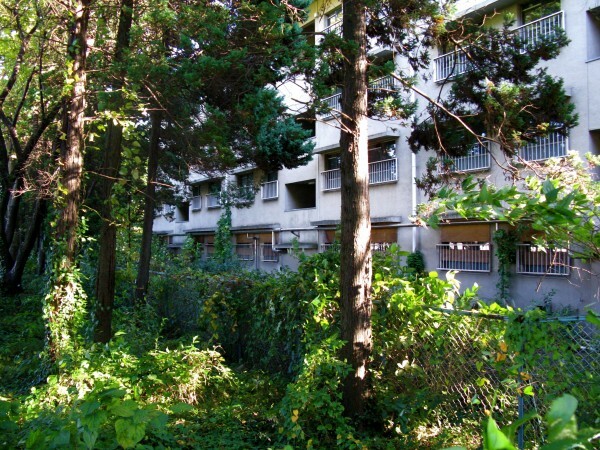 The Osawa Apartments Haikyo in Sagamihara is a high-walled preserve for the recent past, shuttered in behind a plate-metal security fence 15 feet high. Inside, bicycles lie rusted in fallen racks, and 6-mat rooms rest empty behind locked screen doors, their tatami mat floors slowly bleaching white in the pale autumn sun. 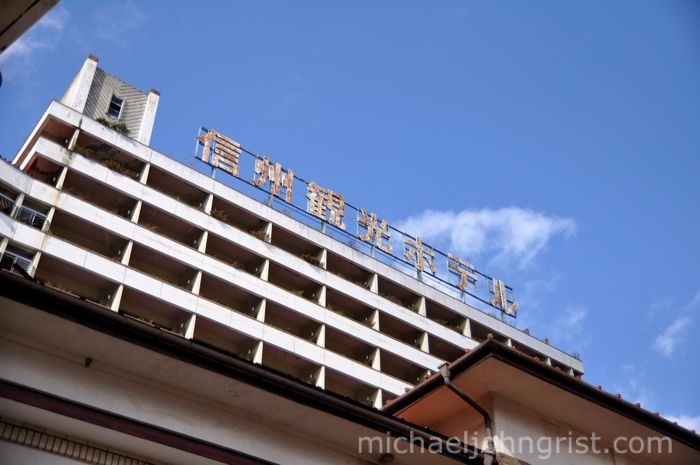 The Toyoshin Convalescent Centre is an oddity already sunk from the consciousness of the neighbouring area, something the local kids don’t even notice as they walk past it to and from school. 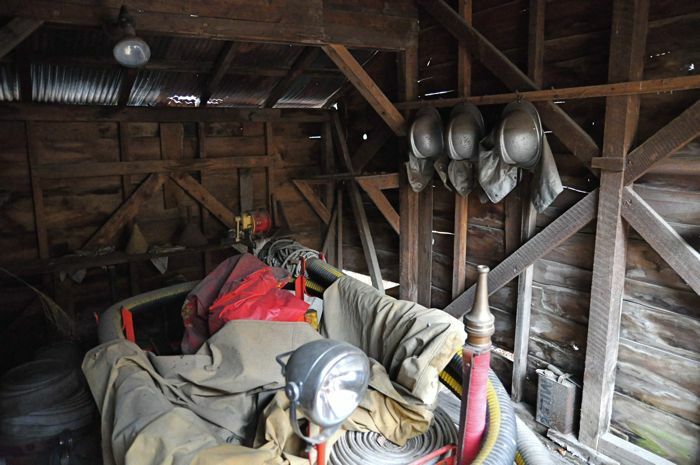 No fences or barricades of any kind guard its door or driveways, but no-one ventures inside. 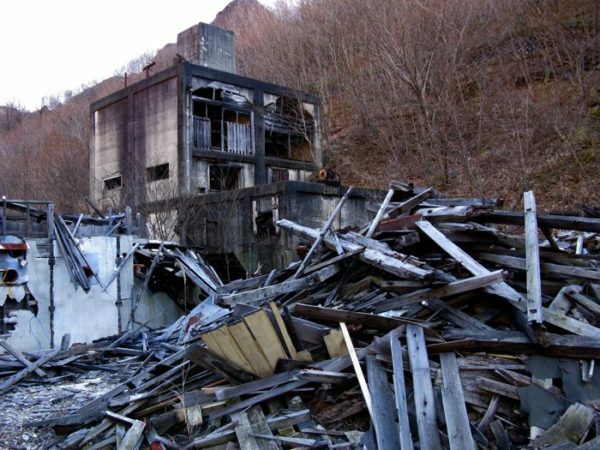 The abandoned Nichitsu Mining Town sits cramped into a narrow valley at the head of a long and buckled road in the mountainous western edge of Saitama. It was once a thriving company town with hundreds of families, the women staying at home in their rickety apartments, the children at the large wooden high school, and the men down in the mines digging for tin. 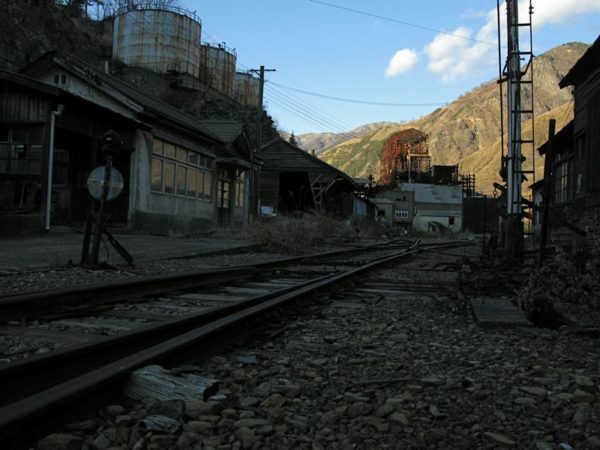 At the dead-end of a blast-hewn road snaking up through the canyons of North-East Saitama, the Nichitsu mine ghost town lies in wait, wreathed in a low mist and perennially dusk-lit by the overhanging crags. 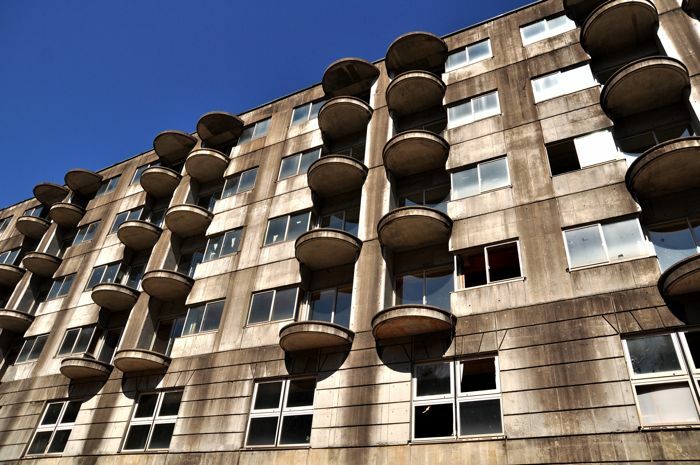 It hums with a crippling weight of nostalgia, of enfolded memories playing out again and again in its boarded up buildings, of invisible ghosts walking their habitual paths to and from and back again. 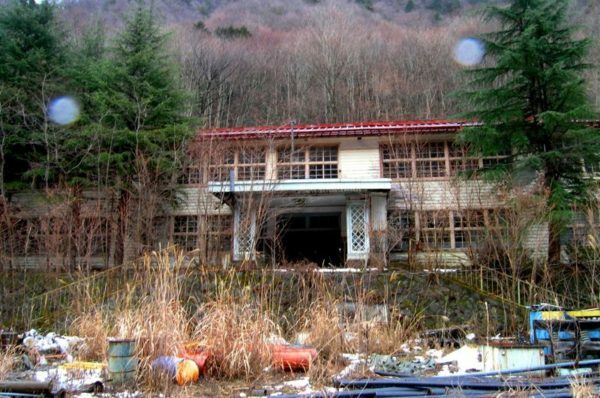 Nichitsu Ghost Town stretches dead and decaying for over a kilometer along its switch-backed mountain road, spreading from the barely-functioning mine shacks at the mouth of the last rough-cut tunnel, up past the Junior High School, twisting up past the white bulge of a hill of lime-chips, past the Doctor`s office hidden somewhere in the thicket of buildings, up to the Lower School, dorm, and warren of walkways, all still and silent but for the steady low gnawing of nature, and time. 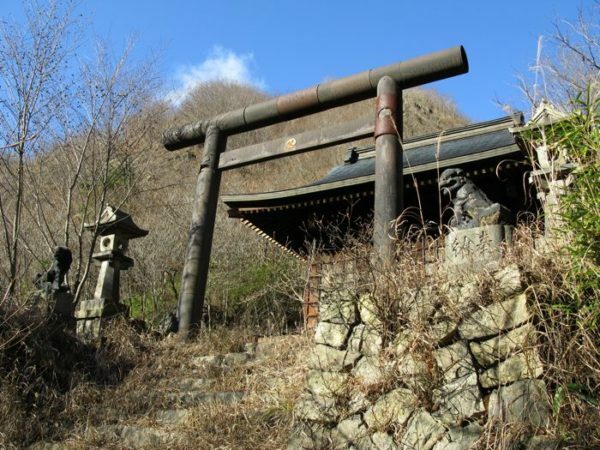 Nichitsu is a tiny little village huddled in a chilly mountain pass, far from the nearest population center. Come an emergency the Doctor’s office would have been the only ER, so its few rooms were crammed full of equipment, now forgotten and lying in shadow: rusted iron operating tables, toppled X-ray machinery, documents sheafed and scattered everywhere, surgical clamps in heaps and organs floating in formaldehyde jars. Go to the next page for love hotels, the grand and now demolished ruin of Sports World, plus various US-occupation era military ruins.